By honoring the past, we encourage the future. 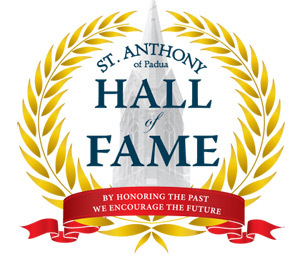 The St. Anthony of Padua Hall of Fame was established in 2008 as an effort to honor those individuals who have contributed, over the past century and a half, in assisting our parish and schools with its infinite success. The Hall of Fame has continued to cultivate our great legacy because of this adage: "By honoring the past, we encourage the future." 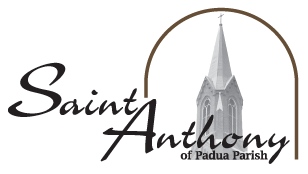 St. Anthony of Padua is infused with a wonderful heritage because of its members. Our parish has a solid foundation due to those in our church community that have given of their time, treasure, and talent to continue the growth of our mission. 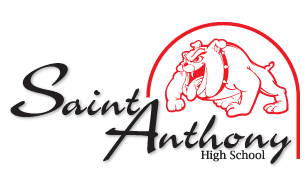 Our schools' record of excellent faculty, students, coaches, staff, and members of our community have made St. Anthony a place instrumental in the process of educating our youth. 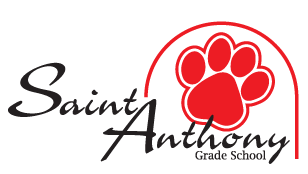 The Hall of Fame is comprised of individuals who have made a real difference in the lives of those they encountered during their time at St. Anthony. It is those individuals, who have provided exemplary service to our parish and schools, in addition to achieving extraordinary success in their community or chosen field, whom we wish to honor with this recognition. The responsibility of the Hall of Fame Selection Committee is to choose exceptional candidates who have come through the doors of our church and schools, and made the world a better place for having been a part of our family.